Paul Howard Poberezny, the leader of a small group of aviation enthusiasts who had been assembling at his home on an irregular basis, founded the Experimental Aircraft Association and is elected its first President. On January 26th, 1953, Poberezny calls the first official meeting of EAA at Curtiss-Wright (now Timmerman) Field in Milwaukee. The group originally gathered together to aid and assist amateur aircraft builders. However, its purposes quickly encompassed the promotion of all facets of aviation – especially sport aviation, the preservation of Americas rich heritage of personal flight – and the promotion of aviation safety. The organization derives its name from the Experimental Aircraft category, which is assigned to airplanes used for recreational and educational purposes only. One of the keys to the associations constant growth is the fact that its membership is open to everyone interested in aviation. From humble beginnings the EAA has grown into a huge organization that fights tirelessly for the General Aviation, Vintage and Warbrids communities. 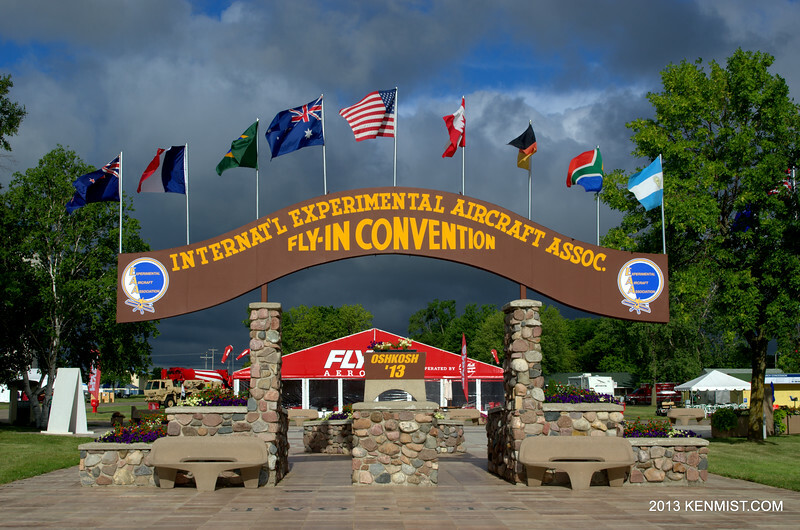 EAA is, of course, best know for their annual gathering AirVenture which is more commonly known and loved as simply Oshkosh.